How many masculine cards did you make? Me? Erm.... less than 10 for sure. Why? I have no idea *laughing*. Maybe I should make more than 10...Sorry guys! Tiddly Inks Challenge has a new theme for you this week. Masculine cards. Make sure to use Tiddly Inks designs if you want to win a lovely prize. For my card I used Aidan and Suitcases digi stamps from Tiddly Inks. It's Stampotique time! Have you seen the new challenge? Make sure you have your Stampotique stamps ready to create a project using the theme: Text . EASY and great ! Thanks for the great challenge, Sarinda. 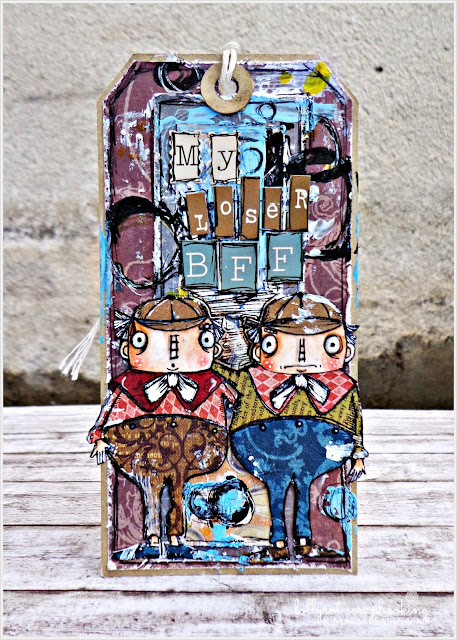 I made a tag using The Tweedles from Stampotique. Come and play along! You can win a great prize! Have a wonderful day! 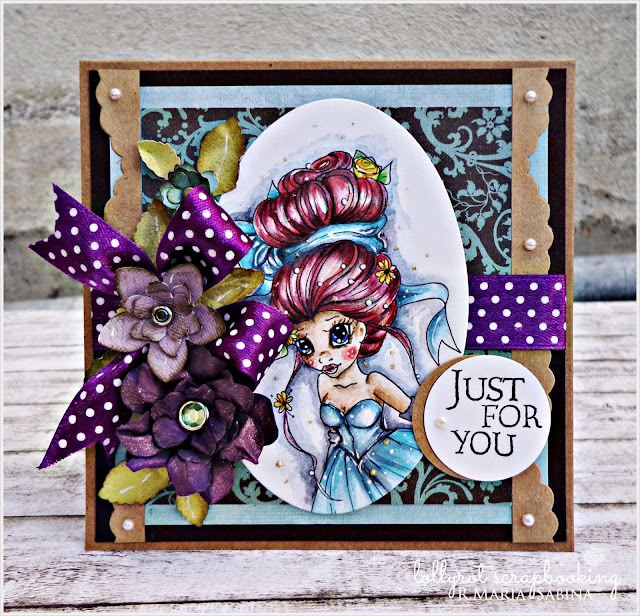 Have you seen the new designs from Tiddly Inks?! Oh, you must! I made two cards using the fairy designs. For the first card I used : Sunny Day Fairy and for the second one I used Fairy Tenderhearted. Both are digital, but you can get the clear set too. Check out their blog to get a great deal. If you have any question, please let me know in the comments below. Have a great day! Finally no card today. 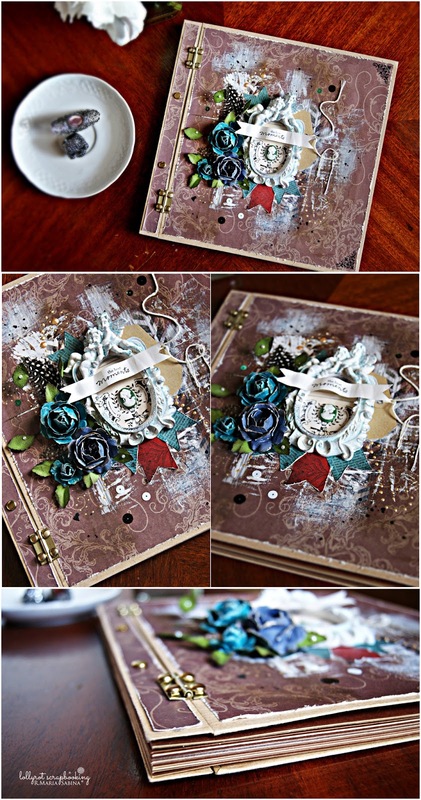 I made an album for my friend Laura and her sister Lia. They are two talented and awsome ladies from Romania. If you are looking for a wedding photographer and you live in Romania, then you should check them out. This album is a nice combo between vintage and shabby. But still very romantic. Yesterday I posted a picture on my FB page. The feedback was great! Thanks everyone! I really had a great time colouring the image below. Such a beautiful design from Saturated Canary. Maybe I should dye my hair red. Looks great! Anwyay, hope you like the card. I'm off to enjoy my ice cream and maybe going to a local concert later . Have a great day! I have a card for you today. 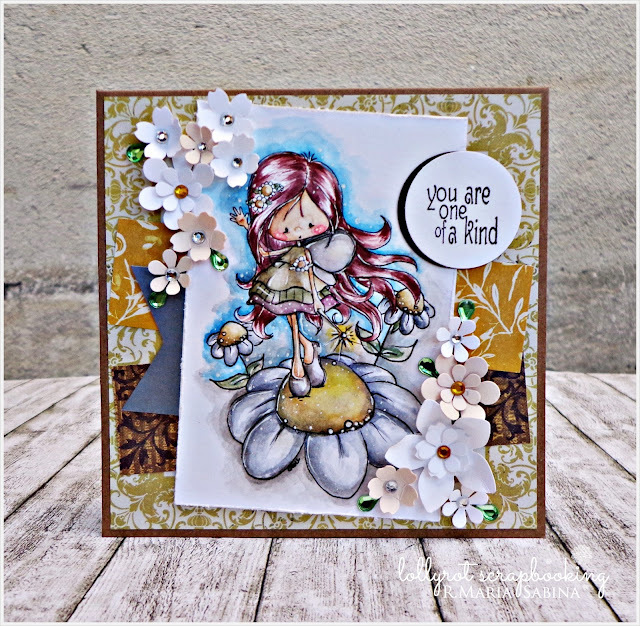 We have a new challenge over at Tiddly Inks Challenge. We know how much you love Wryn. So for our new challenge you can use any Wryn stamp. Great right? It's Stampotique Time! YEY! Ready for a new challenge? Carol has a great challenge for us. The theme: sunshine. The weather in Alba / Romania is SUPER HOT! So this card goes wonderful with the challenge and weather. Simply love these awsome birds from Stampotique called : Birdy Up. 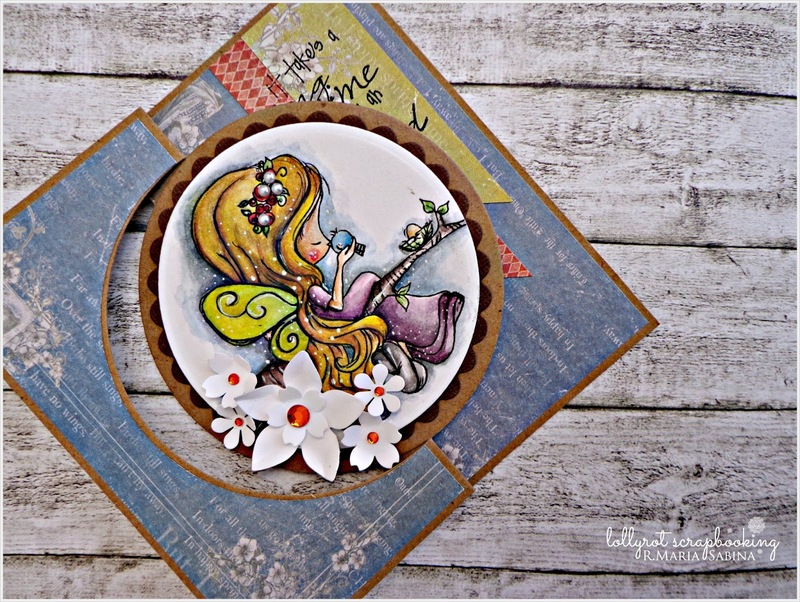 I also used Spidergrass and my stamp sentiment Enjoy today both from Stampotique. Come and play along with us. This challenge is GREAT! Plus you can win a great prize! Check out the challenge here. Ciao Ciao! It's May already! Oh my! Time goes by way too fast. I have a quick card for you today. It's Throwback Thursday over at Tiddly Inks! 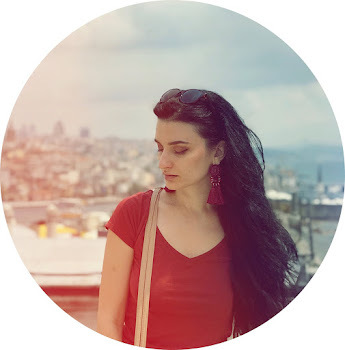 You can check out the blog post over here. The image below is an old but a new image. You can buy the digital version or the clear stamps set. I used the digital one called: Wryn Birthday Girl. Hope you like this card! If you have any question , please leave a comment down below. Have a great day!